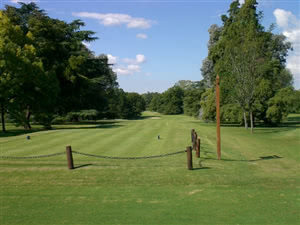 Olivos Golf Club, founded in 1926, is considered the best and golf courses in Argentina and is ranked 59th in Golf Digest's 'Best golf courses outside the US'. The course is a beauty, with tight fairways and heavily contoured, very fast greens always maintained in excellent condition. With 27 holes formed into three loops of nine holes (White, Blue and Red courses) and with five sets of tees the course can be made to play from 6,700 yards to 5,420 yards..
Olivos has played host to many National and International golf championships including the South American Masters Tournament, World Amateur Championship and the Copa de los Andes.